Hi, aand welcome to Green Escape! You have wandered into a strange territory, then you see a tall white wolf with odd red markings. He asks you calmly, "Who are you"
We run threw the forest, we run with the wind. No secrets to tell, No secrets to leave behind. 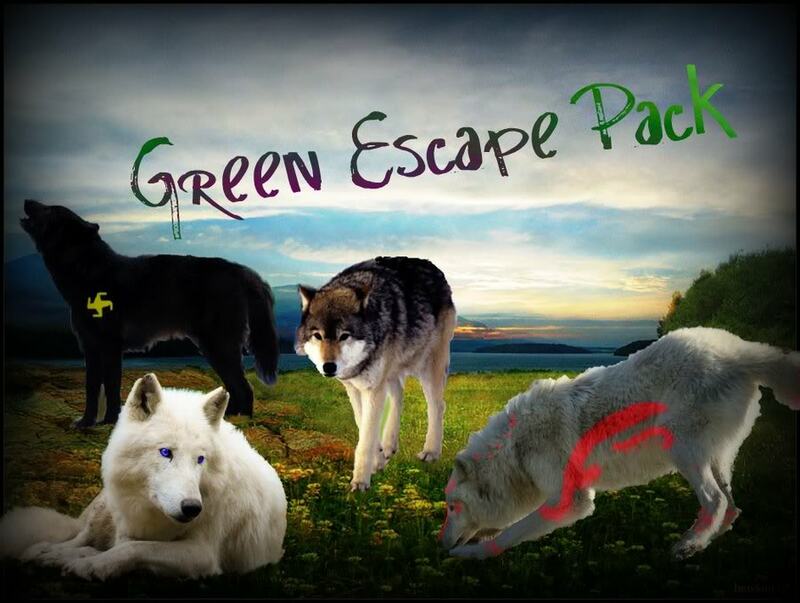 We are known as the Green Escape pack, we are known to escape into paradise. Come with us and you'll be forever surprised. » New Site, New name, new everything. I didn't see a topic like this that was active. The first sentence will answer the last person's post, telling them whether their guess was correct or not. ^ Will be something about the person above you. < Will be something about yourself. v Will be a guess about the person below you. Location : Running through the forests with my sister, Tor, at last. ^ Is INSANELY jelly of "The Skills"
v Is jelly of mah name! < has a Faith necklace. Location : In my own dream waiting for someone to notice me.